If you’re reading this post, chances are that you’ve heard the terms “API” and “microservice” being thrown around increasingly over the last few years. They’re both incredibly important in modern day web applications, and considering how they’re used, it’s almost as if the two terms are interchangeable — although that’s not quite the case. The word “microservice” refers to the individual services in a microservice architecture. A microservice architecture is an architectural style for modern web apps where the functionality is broken up into smaller fragments, and this is normally the idea people are trying to convey when they talk about microservices. Microservices are an example of Service-Oriented Architecture, or SOA, which has grown to be a popular alternative to the traditional approach of building singular, self-sufficient applications, which we call monoliths. The reason microservices are all the rage right now is that they make it so much easier to develop, integrate, and maintain applications. This ultimately comes down to the fact that individual functionalities are treated separately, initially allowing you to build applications step-by-step, and later allowing you to work on each element separately (so you can add, improve, or fix without risking breaking the entire application). Microservices foster an organization of small independent teams that take ownership of their services. Teams act within a small and well-understood bounded context, and they are empowered to work independently and quickly, thus shortening cycle times. API stands for Application Programming Interface, where the keyword is interface. APIs are the doorways, so to speak, that allow developers to interact with an application. APIs have been around since the dawn of computing, enabling computers to call repeat functions to decrease application bloat. When we discuss APIs in today’s digital economy, however, we’re typically talking about web APIs that facilitate B2B communication. Broadly speaking, APIs allow developers internal and external to accomplish one of two things: access an application’s data, or use an application’s functionality. Ultimately, this is how the world’s electronics, applications, and web pages are linked up to communicate with one another and work together. While many APIs are created for third parties to make use of — so-called public APIs — the increasing popularity of a microservice architecture has led to the creation of more and more private APIs. In this case, the APIs act as a lightweight solution for individual microservices to communicate with one another. From a technical perspective, APIs usually send data by means of HTTP requests. These return a textual response, normally in JSON format, which developers can use as they please. Types of API design styles include REST, SOAP, GraphQL, gRPC, and others. Many use specification formats like OpenAPI, RAML, or AsyncAPI to define API interactions in human and machine-readable formats. Read more about APIs in our article What is an API? Microservices are an architectural style for web applications, where the functionality is divided up across small web services. APIs are the frameworks through which developers can interact with a web application. 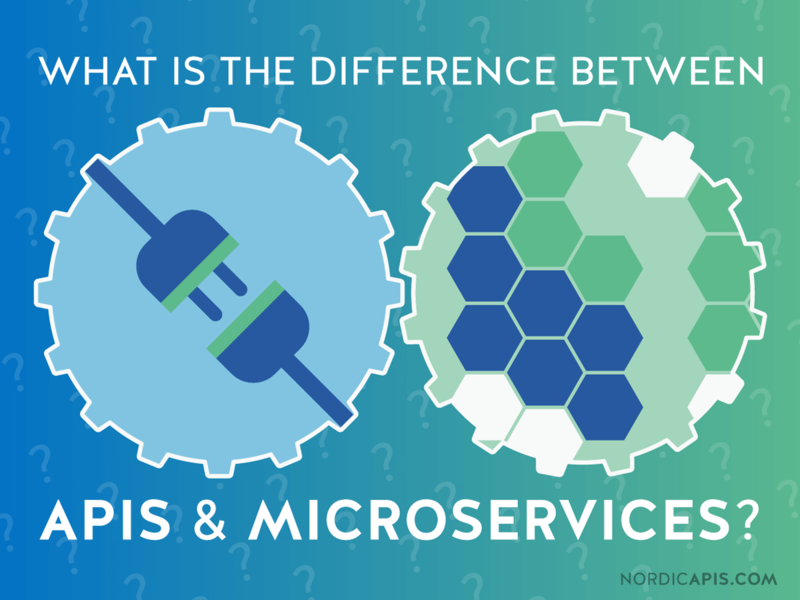 As we mentioned, there’s definitely an overlap between the two, since so many microservices use APIs to communicate between themselves. Also read: What is the Difference Between an API and an SDK? If you’re not a techie, it’s probably not worth learning all the details about APIs and microservices. That said, you should know what APIs and microservices can offer for the everyday enterprise. Microservices are a popular way to build web applications now, for the reasons we outlined above. 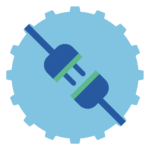 To recap, a microservice architecture makes it easier and faster to build and work on individual parts of an application, and thus the application as a whole. 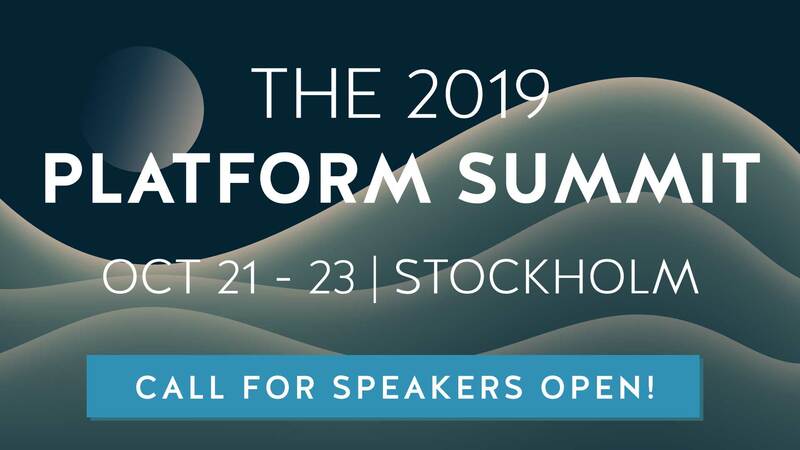 The appeal of APIs is twofold for most enterprises, since APIs are often the medium of communication between microservices, but also because they can also be used to expose an application’s data and functionality to third parties, leading the way for powerful integrations. Especially in the last few years, public APIs have established themselves as bona fide business products, since integrations ultimately increase customer satisfaction and retention. With that said, APIs themselves can be monetized directly, which makes them all the more appealing as products.